Object: For each challenge, use the towers listed next to “Add To Grid” on the challenge card to complete the maze. 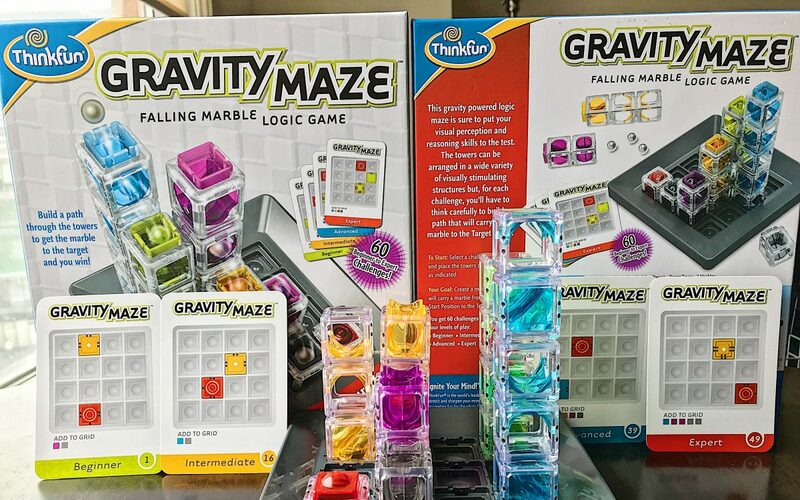 To complete the maze, you must arrange the building towers in the correct order so that the maze will carry the marble from the start position to the target tower. Step1: Select a challenge and set up the towers on the game grid to match. Step 2: Determine where to add the indicated towers to the grid. The game includes an easy to read instruction manual. 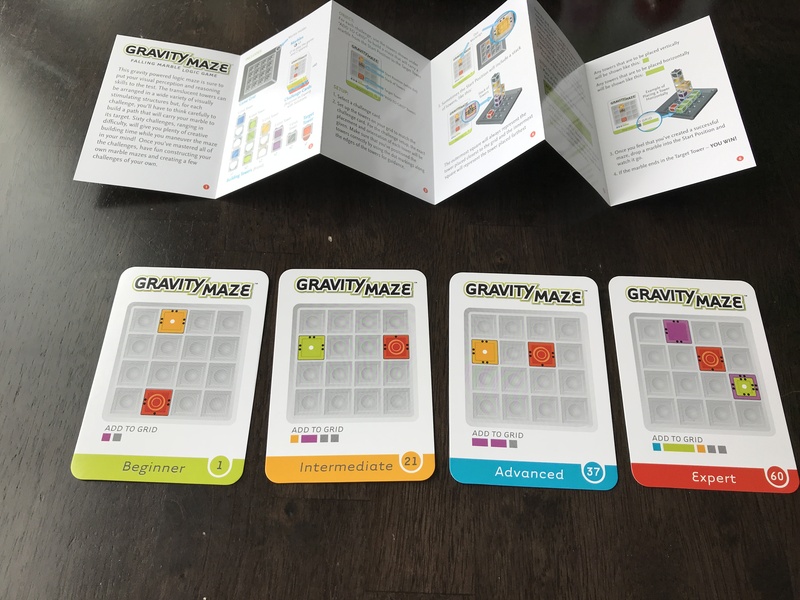 Try a “Beginner” level challenge card in order to get a basic understanding of the game. 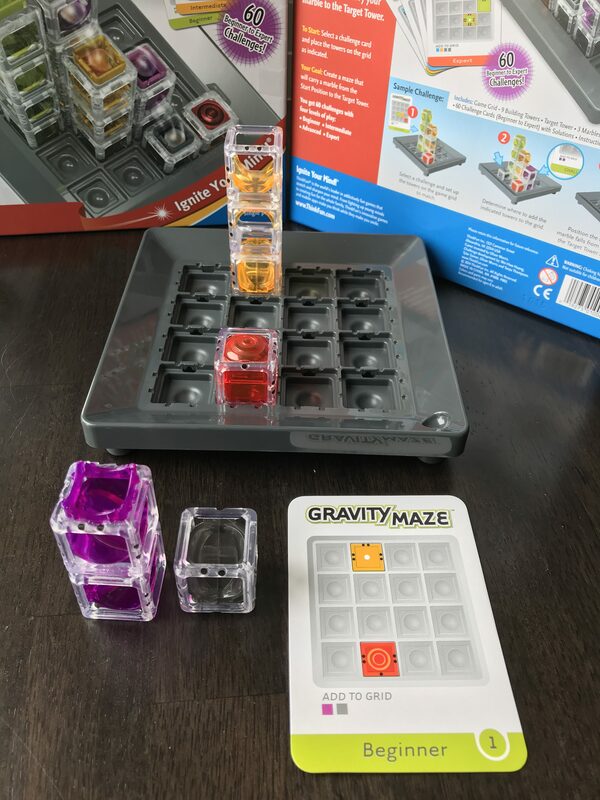 We recommend Gravity Maze for anyone who enjoys logic based puzzles or board games.